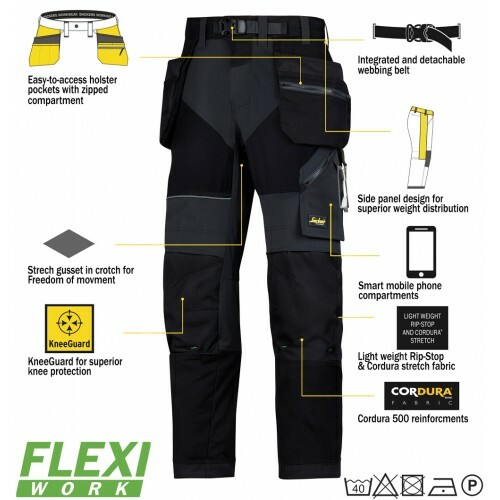 The Snickers Flexiwork Ripstop Holster Trousers 6902 are the ideal choice for anyone in an active job. 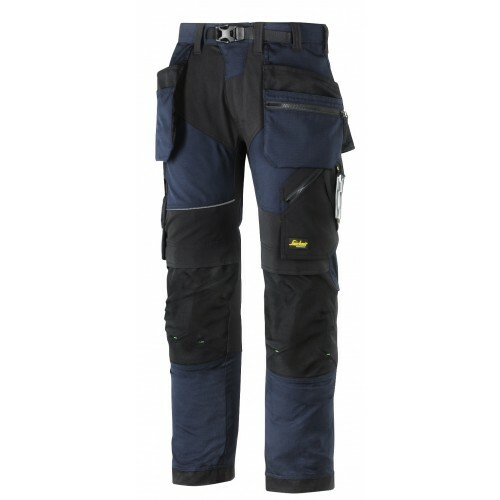 The innovative range of features and materials make these Snickers trousers ultimately adapted to the work environment. 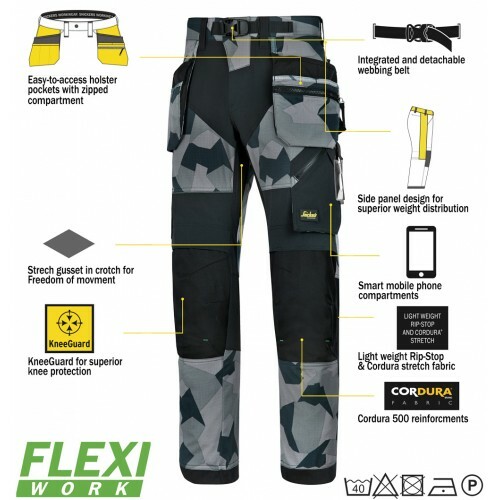 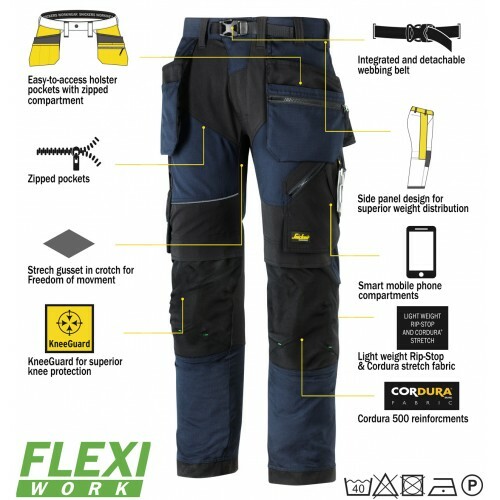 From easily accessible holster pockets to pre-bent knees and tough Cordura fabric, these Snickers 6902 Flexiwork Trousers will get you through the work day with ease, no matter what your trade or industry.